Hello, hello! Can't really show one of the gigs am working on right now till after next week. 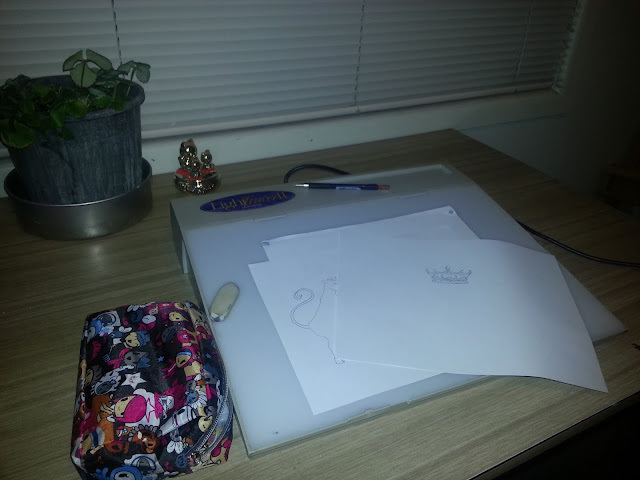 Using my trusty light box that my parents gave me years ago to clean up a few drawings before compiling in Photoshop. Some folks prefer to do all their clean up in Photoshop but time is of the essence at the moment for me and I know I can clean it up faster if I just re-traced the images. Busy, busy, busy. I really do need to slow down at some point but some projects are just too good to pass up!